Books for Keeps – On goals, thinking big, and making a huge leap forward! With the final sponsorships, grants, and individual checks that came in the mail just today, Jan. 4 – post-marked December 29th and December 30th, we raised an astounding $64,143. To come in just $2,000 shy of our Biggest Goal Ever is astounding. It speaks to what can happen when we dream big. It’s enabling us to approach some of the schools on our wait list to tell them we’ll definitely be serving their students in spring 2018. The schools we have definitively added to our service list are: Barrow Elementary School and Whit Davis Elementary School, both in Athens; and Elbert County Elementary School, a school serving second- through fourth-graders in Elberton. 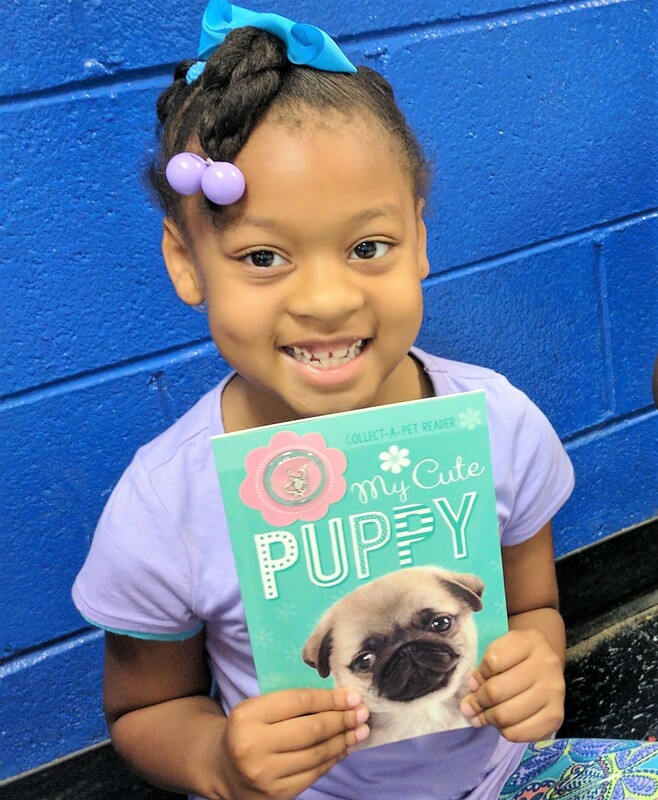 All schools served in 2017 (and prior) will keep getting visits from our staff and volunteers – with a whole lot of books – just in time for summer. And an exciting time it will be! Distributions will kick off this year on April 17 and continue through May 22. To see the full list of confirmed 2018 service schools, please visit the Our Program page of our website. We are continuing discussions with two wait-listed schools in Atlanta, and with our wonderful contacts at the Atlanta Public Schools Office of Partnerships – keeping them updated on the status of our efforts, and working to identify major partners that could help us fund our program at those schools. We’d like to say we can definitely reach those students after such a terrific year-end – however, it is important to our staff, our board, and our wider community that we have major funding committed from Atlanta to serve those new Atlanta schools. We aren’t quite there yet, but we’re working to get there. With such an incredible community of support – and proof that this program is making a difference in kids’ lives – we know we can do it! By booksforkeeps|January 4th, 2018|Uncategorized|Comments Off on On goals, thinking big, and making a huge leap forward!